2008 MoA Signed with REFOLAND Warriors and Armed Forces of the Philippines | FEED, Inc.
June 2008, Camp O’Donnell, Tarlac, The Philippines. 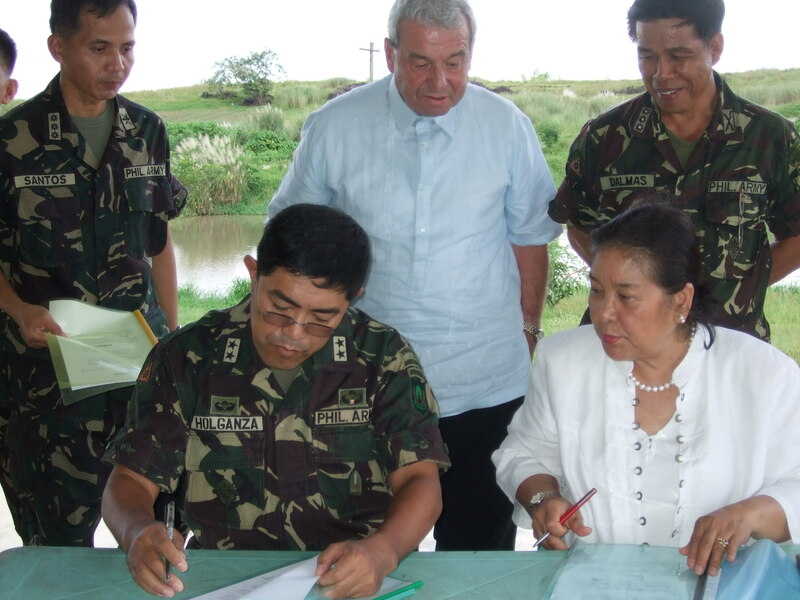 In response to continued collaborative efforts between the Armed Forces of the Philippines and FEED Inc, a Memorandum of Agreement was signed with Camp O’Donnell in Capas, Tarlac by General Holganza and FEED Inc Chairman Ofelia Bakker-Mananquil, witnessed by the hundreds of AFP soldiers present. 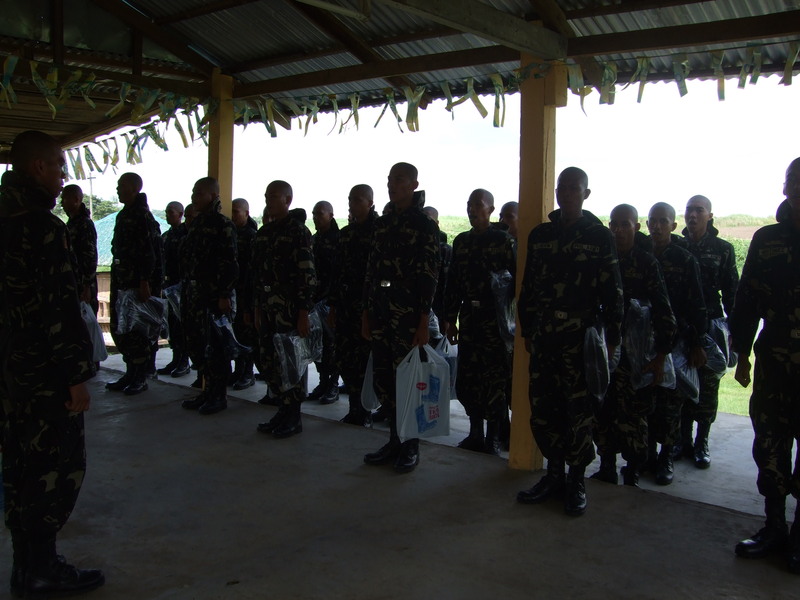 The AFP and FEED Inc initiated various indigenous tree planting initiatives and livelihood projects that are environmental friendly and sustainable, such as planting native flower and fruit bearing trees and ornamental plants, and setting up seedling banks at Camp O’Donnell. In July 2006, the AFP and FEED Inc. planted fire / flame trees known locally as caballero trees along the highways and inner towns of Tarlac and Dau, Mabalacat, Pampanga. FEED Inc. supplied shoes to barefooted soldiers who planted the trees and developed the nurseries, irrigation system and water tanks. The advice of former President Fidel V. Ramos, then a chance meeting with AFP Chief of Staff General Alex Yano, helped secure some five hectares of land for this purpose. 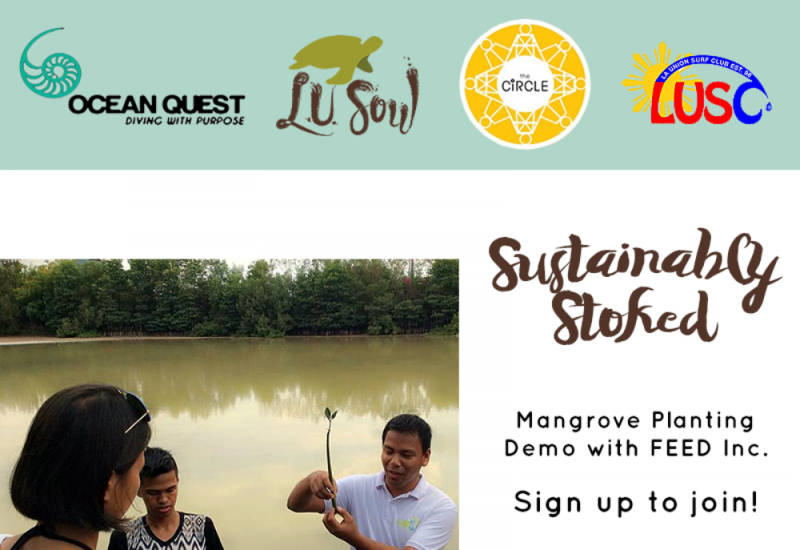 The University of the Philippines – UP Los Baños assisted in identifying the type of soil suitable for the different trees/plants planted. FEED Inc supplied water pipes, which already have been installed, and some 2000 ilang-ilang trees have now been planted in the five-hectare land alotted by Camp O’Donell by Camp Commander General Carlos Holganza and his “REFOLAND Warriors“ led by Lt. Col Johnny Dalmas. The Camp has slowly been rehabilitated, together with the established REFOLAND program of the AFP; the funds are direly needed to sustain ongoing projects, which have all been based on the UN principles for sustainable development, thanks in great part to the research of the AFP. Former PCSO chairman and general manager of PCSO, now director, chairman Manuel L. Morato extended his help in a personal capacity, saying he “believes in the meritorious cause the AFP and FEED Inc are undertaking”.